Okay, so the soon-to-be, 95-year-old, former TV Superstar would probably never endorse putting alcohol into his temple, his relatively inexpensive juicer rocks. It is especially good for the non-citrus juices tested here at the DJUMMMC. 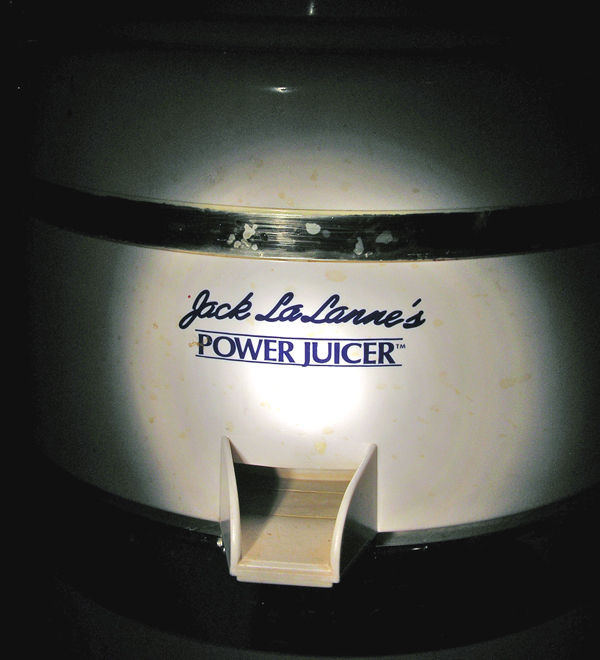 Whether it is a fruit, a berry, an herb, or a vegetable, the Jack LaLanne is the least you need for your own experimentation. You can purchase one for as little as $100. You will get your value back within the second or third time you have a round of Blackberry Daiquiris.